Do we have to use shampoo? No! Shampoo often contains sodium, synthetic fragrances and other harsh chemicals. Instead of using shampoo and conditioner you can make your own Herbal hair rinse from your kitchen and garden Herbs. For more healthier looking hair replace your shampoo with a herbal rinse once a week. 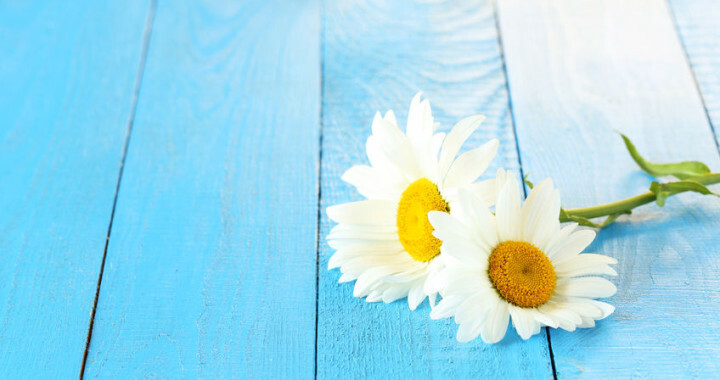 – Heat water in a covered pot, place chamomile and rose petals in the water. Allow to brew strong for 10-15min. – Strain the chamomile and rose petals. Add the baking soda to the tea/water and make sure it dissolves. – Allow to cool down to body temperature. – Pour the liquid onto dry hair and massage your head with a circular motion. Soak your hair for 5 min and rinse. Posted in Growing Herbs and tagged benefits, chamomile, herbs, tea.